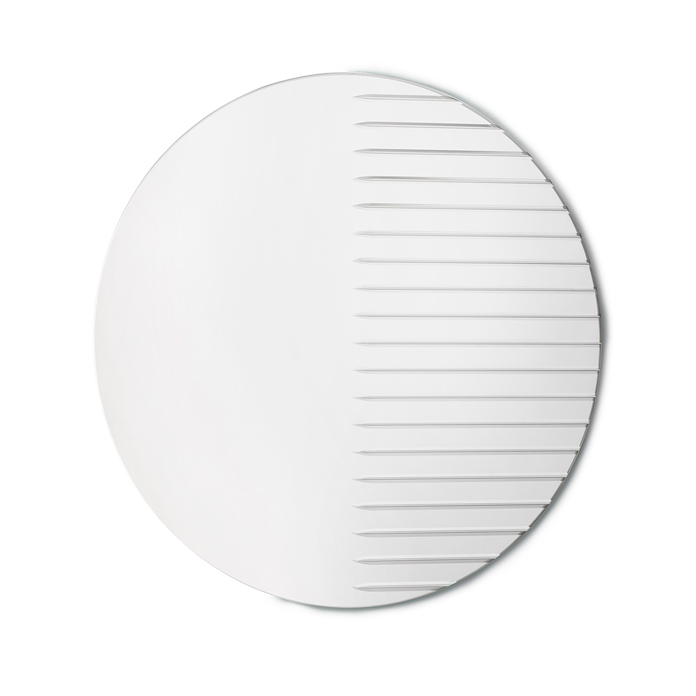 Sophisticated mirrors engraved on one half, which come in three sizes in different shapes. The mirrors create a wonderful sparkle in the room and are as functional as they are decorative alluring elements in your hallway, living room and bedroom. On one side, Masquerade is a traditional mirror that reflects the world 1:1, while the geometrical patterns on the other side of the mirror transform it into an elegant decoration referencing the world of masks. A duality of great beauty also known from the masquerade and which gives the mirror its distinctive character. Choose between tree sizes in different wonderful shapes. 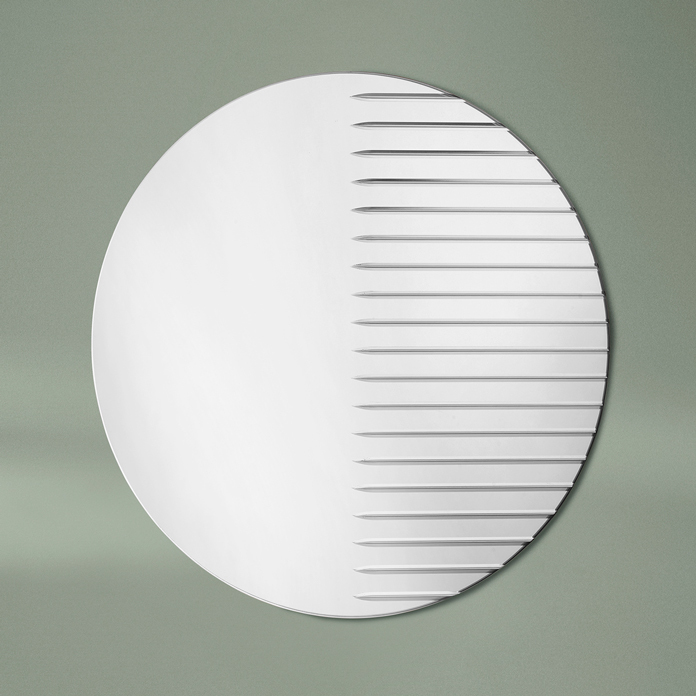 The Masquerade mirrors are inspired by the two-sided mask and a world of geometrical surprises. The designer is Sebastián Alberdi, who in the Masquerade range works with geometric shapes and elements at many visual levels. From the design of the individual mirror to the partial engraving with straight lines and patterns, which transform Masquerade from a one dimensional mirror surface to an intense three dimensional experience. A fundamental curiosity about the world and the interaction between an object and a person are what keep Sebastián Alberdi going. This industrial designer with Spanish and Argentine roots continuously challenges materials, technology and craftsmanship in his design studio in Barcelona. He aims to stretch the limits of what is possible and to refine each design in terms of what it contributes to our surroundings, when it comes to feeling, functionality and visual existence. Sebastián Alberdi strives for aesthetic simplicity and precision, though one often detects a note of temperament in his design, investing it with a sophisticated and vibrant touch.